Venue says Enjoy our Menu Rapide for just £13.50. It includes a classic tarte flambée, mixed leaf salad, glass of wine or beer and tea or coffee. Grand European cafés provide the inspiration: the interior is a treat, and the all-day menu has something for everyone – at prices that aren’t greedy. 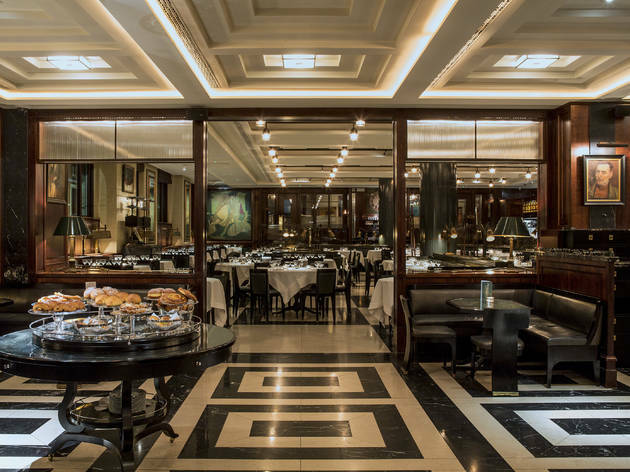 The Delaunay was Chris Corbin and Jeremy King’s 2012 follow-up to the Wolseley and, like that handsome behemoth, it looks like it’s been here for decades. 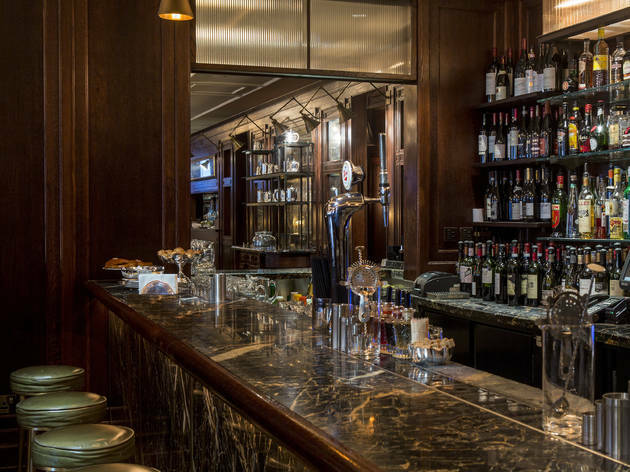 Grand European cafés provide the inspiration, and the interior is a treat – a David Collins-designed mix of green leather banquette seating, dark wood, brass rails, antique mirrors and a black and white marble floor. The café and bar area leads through to the main dining room; next door is the Counter (a café serving savouries, cakes and coffee, with takeaway available). 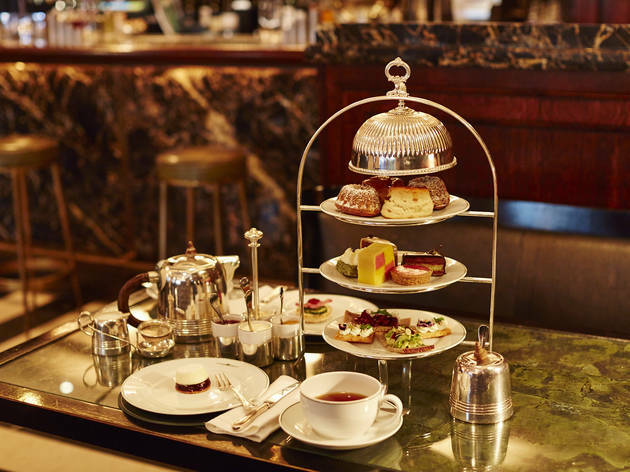 The menu runs from breakfast to dinner, taking in afternoon tea (a not-to-be-missed opportunity to try the Austrian-biased cakes, all made in-house). There’s a dish of the day (goulash, say, or chicken curry), soups, salads and egg dishes, plus savouries (welsh and buck rarebits) and crustacea. The sandwich selection runs from croque monsieur to a brioche burger with french fries. 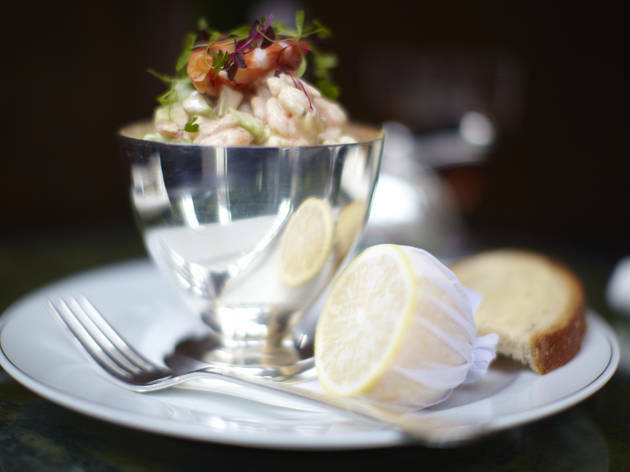 Starters include steak tartare and smoked salmon plates; mains take in kedgeree and choucroute à l’Alsacienne. There’s also a good choice of sausages, served with potato salad, sauerkraut and caramelised onions: try the käsekrainer (an Austrian meat and cheese version). In short, there’s something for everyone, at prices that aren’t greedy given the setting, the quality of the service and the assuredness of the menu. You're right in lauding the Delaunay. What you failed to mention is that the service is the friendliest, speediest and bestest anywhere outside the River Cafe. A nudge of competition benefits everyone! We had a delicious dinner last night pre-theatre and loved it. The food was delicious (best Schnitzel Holstein in town!) the service excellent, the ambiance perfect. It was expensive, but worth every penny and we will definitely return and recommend it to friends. 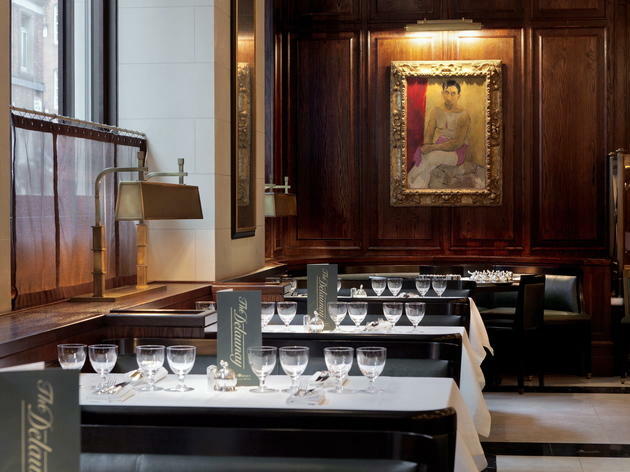 The Delaunay is my favourite place for breakfast in London, it has the food quality of the Wolseley and bit more quiet and relaxed atmosphere. 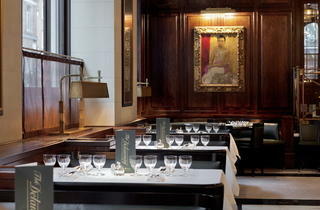 The Delaunay is one of my favourite restaurants: great food, reasonable wine list and an amazing building. The breakfasts are fantastic. The one aspect that was not top notch for me there was Sunday lunch, where the roast beef didn't meet expectations (stick to the normal a la carte menu). Still amazing overall though. Went here for breakfast, was absolutely lovely and great service, the scrambled eggs were a bit runny for my taste but the rest was very good. I'd go back. I really like this restaurant. The food is good and the drink is excellent. The service is just brilliant. Good value for money. I will certainly go back there again next time I am in London. Great restaurant and cafe. I actually have the pleasure of working above this great restaurant and while I have only had the pleasure of dining at the restaurant once, I regularly enjoy a bite to eat and coffee at the cafe next door. The quality of food and the service is always of a high standard and really enjoy the cafe as impromptu morning meeting spot. I celebrated my birthday here a few weeks ago and the ambiance, service and food were exceptional. I am German and most dishes on the menu are from German speaking countries, so I wanted to find out, if it met up to the standards, of what I get back at home. And it surely did! We were 7 people all together and we received our food at the same time and everybody thought it was absolutely delicious. Desserts as well were amazing and the housewine was a very good choice as well! All together we payed 280 pounds for 7 people, which included all the mains with steaks and schnitzels, a dessert per person, 3 bottles of wine and coffee as well. Also the service was out of this world. Very polite and helpful and if anybody's knife, fork whatever fell down there was somebody to pick it up in a second. I would definitely go again! Simply superb on every level. Service, food, setting, ambience - can't wait to go back. 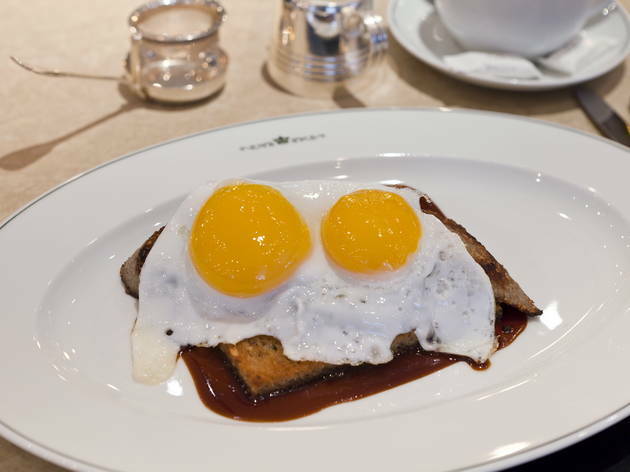 Lovely start to the day if you're looking for somewhere special for brekkie. Simply superb. Food and service is first class Only slight niggle was front of house wasn't particularly friendly and welcoming. Best newcomer, my new favourite, great soups especially their goulash! 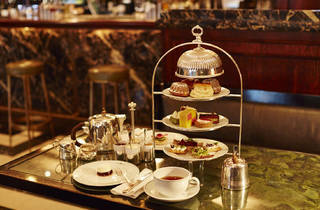 Had afternoon tea here and it was absolutely exquisite. Perfect, simple sandwiches with delicious fillings (we were offered top ups when they ran out too). Then an assortment of little cakes and pastries that were classic but with an innovative twist (e.g a pink and green battenburg featuring apple). Topped up with perfect, warm scones and fine tea blends. If the food wasn't luxurious enough then the decor, service and overall ambience truly makes you feel like royalty. 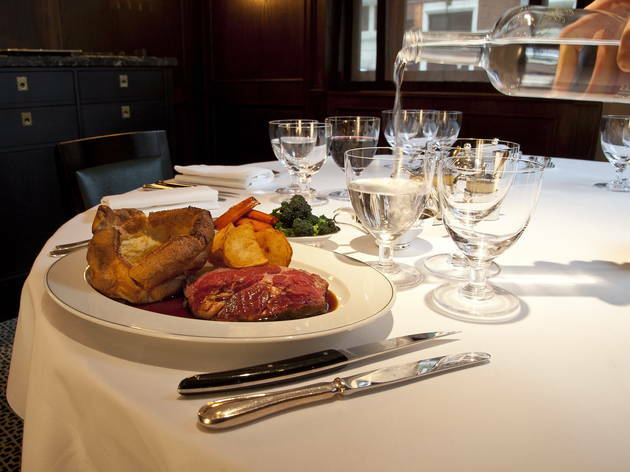 For £21 a head it's a great value treat - we didn't need to eat for the rest of the day! I was really looking forward to brunch here but was left very disappointed. 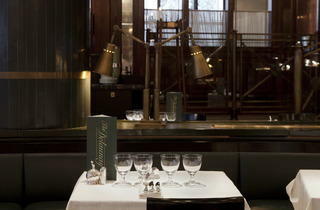 While the space was great - very classic, the service was poor - an unfriendly waiter who wasn't particularly attentive. If there's a cover charge, I expect at least a smile, especially given this charge was included when calculating the service charge. The food was nice, not amazing, and a little over priced for what it was. The Delaunay definitely isn't in my top five brunch choices. Anyone who is considering it should keep walking around the corner to Balthazar - great buzz, great service, great space and great food. Came here the other day with a friend for a late brunch/lunch and we came away mesmerised .... It could be due to the food coma we landed ourselves in orrrrrrr the fact that the food itself was just simply sublime. Love the decor and the almost opulent feel you get once inside. The service professional and is worth every penny you pay for it here. Such a classy, traditional place for afternoon tea and at a decent price. There was a good selection of teas and treats. Service was good and it was wheelchair accessible so ticks in all the right boxes. Perfect location for a long leisurely catch up with friends. Perfect spot for pre or post theatre dinner. My parents are absolutely head over heels about this place and I can understand why! It is classy, elegant and very parent-proof (no loud music, no hipsters). The food is not overly original but honestly who cares. 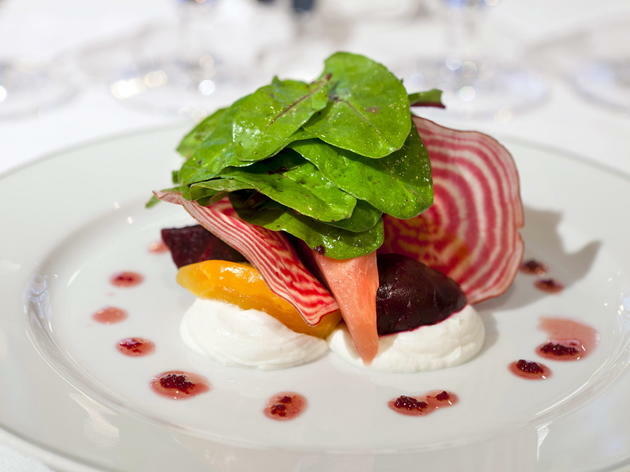 The menu includes everyone's favourite classics and sometimes that is just exactly what one wants from a restaurant. Delicious food and a lovely atmosphere. Obviously pricey, but what do you expect in the heart of london? 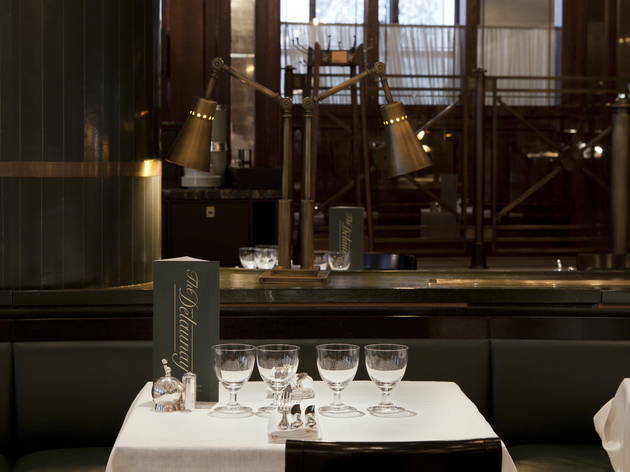 I've eaten at the Delaunay many many times on differing occasions, the restaurant is beautiful and the service is friendly, but it's not somewhere you will be leaving in a hurry, even in the konditori the service is sloooooow. The food is definitely the redeeming factor and the coffee and cakes are reasonably priced for such a fine restaurant and very delicious. It's a great place for breakfast, staying in or taking out, however be careful with catering orders these are frequently wrong so make sure you check the order while there. They always quickly and generously rectify the issue so it's never caused too much of a problem, but isn't always convenient. The food in the restaurant is delicious and consistently cooked, very much recommended for a special lunch or dinner with family. Their Christmas menu can be very hit and miss so make sure to review in advance if booking for a party. If you are looking for one of the best brunches in London, that won't break the bank then this is it! Beautiful interiors, great service and delicious food. I had the fluffy pancakes while my guest had a viennese brunch of Schnitzel and egg. We then couldn't help but order the famous cakes and tea! Highly recommend the Sachertorte chocolate cake - divine! I could not agree more with the Time Out review. Perfect for Brunch lovers. Cool atmosphere. Great service. A must in London. I fell in love with this place on Instagram. Everything seemed too good to be true! Went there for a wonderful eggs Benedict based breakfast and back again for afternoon tea as I was mesmerized by the cakes! The restaurant itself is stunning, centrally located and easy to find. If you're a breakfast lover as much as I am you have to go there! What a lovely treat this place was. After a visit to a show nearby, it was nice to find a place that was welcoming, beautiful and rather refined to complete the evening. Although it was late (nearly 11pm), the friendly staff didn't mind us popping in for a coffee in the bar area and of course we gave into temptation once we saw the cake display. Sharing an absolutely scrumptious Rum & Coffee cake, with two pots of coffee to accompany it, the bill came to just under £20 with service, which makes this place a little on the pricey side. It was however well worth the money - a generous portion of cake, two massive coffee pots (with a choc on the side) and everything served beautifully. A lovely end to an evening, which left us feeling rather decadent and spoilt. The Delauney Counter has a very Continental feel in the way it's decorated and how the waitstaff is dressed, with it's black and white shiny floor and prominent display of delicious looking cakes. The food is cafe style and I enjoyed a small cup of chicken noodle soup (nice chunks of chicken and not too salty) and a spinach, ricotta, and tomato strudel. Service is prompt and attentive. Write a review... Something about dark wood paneling, portraits on walls of people long gone, and low lighting evokes such gemütlichkeit. The Delaunay knows this and does this well. We came here for dinner and just get ready for the taste sensation. 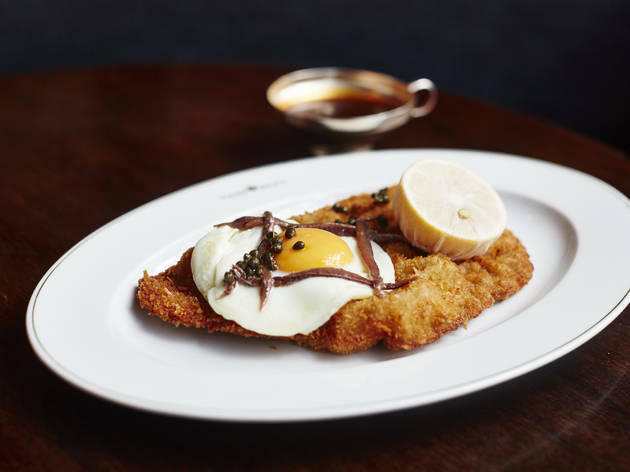 There is a heavy slant to German-like food, with such things as Schnitzel and Würst (sausages) being famous. I am not talking Herman ze German wurst (which believe me is very delicious, but in its own way)-- I am talking high quality and unique flavours, served with potato salad (kartoffelsalat) and sauerkraut. Splurge and get the käsespäetzle (german mac n cheese), only share if required! I had to try the strudel for dessert and was not disappointed. The warm strudel served with ice cream is a classic combination and for good reason. I don't find the prices too insane here, but the ambiance conveys a lovely atmosphere, making it great for a special occasion or dinner with friends. 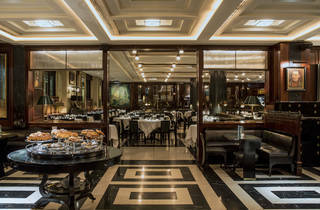 The decor of this place is nice, but unfortunately, this is the only nice thing I can say about my visit at the Delaunay. It wasn't horrible and there wasn't one particular thing that went wrong, it was just chain of minor to medium disappointments, which lead me to give such a low rating. I went there for brunch on a Saturday afternoon. A large room, without any dividers, which makes it very noisy and also hectic, as you've got waiters dashing about constantly. The crowd seemed to be mainly tourists and groups of women having afternoon tea. Anything but smooth. Fairly long wait for each course and the (warm) starter was brought while my partner had gone to the washroom. Waiters seemed really insecure when it came to serving the food and struggled to decided where to put plates and sides. Every time they topped up our champagne my partner (or his plate) was sprinkled with drops of water from the outside the bottle. When pouring the champagne they moved the bottle up and down as if we we're at a Moroccan tea ceremony (not a good idea when pouring sparkling beverages). It took really long until we were asked if we'd like the dessert menu. None of these were massive issues, but as a whole it's just a disappointing experience and I would expect a better service from this type of restaurant. I had Roast Squash Salad with Artichoke and Poached Egg. This was an okay starter, unfortunately, the egg was cooked through and not runny and the flavour of the parmesan shavings were overpowering the rest of the dish. My partners Egg Arlington was delicious, with the poached egg cooked to perfection, on a tasty English Muffin, wrapped in Salmon and topped with Sauce Hollandaise. As a main, I had the Plaice Goujons with Fries and Tartare Sauce. What a disappointment. The chips were pale, soft and completely bland, they looked like something you'd get Tennessee Fried Chicken. The fish was overcooked and the coating wasn't crispy. My partner had the Nürnberger Sausages with Sauerkraut and Potatoes. The sausages were deep fried rather than pan fried (which is who you'd normally cook them) and the taste wasn't great. The Sauerkraut was lacking seasoning and tasted bland, yes it was a bit sour, but there's more to it than that! Last but not least, the potatoes we're cold when the dish arrived. For dessert we had a cup of ice cream each - nothing special, I've had better, I've had worse. £240 for 2 people, 3 courses and a bottle of champagne. Sadly, for a restaurant in this price range, the standard wasn't high enough. Excellent restaurant for breakfast, great service & reasonably priced. Will definitely be going back for dinner. 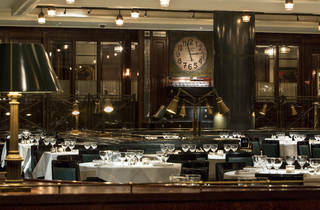 Excellent restaurant and cafe - this is one of the " must do " I would recommend it to any " foodie"
The Delaunay is a great venue for a breakfast with family, friends or a date. It has a great atmosphere and feels very luxurious, without the price tag. The service is always fantastic. I would recommend the pancakes with fruit and creme fraiche for an alternative breakfast treat. Food good but pricing policy needs a review as some simple dishes much too expensive for what they are. But overall the kitchen is doing their job well. The area that leaves a lot to be desired is service. The only smile I got was from the doorman. Apart from him, the coat check girl, the dismissive receptionists, the surly barmen and the subpar waiting staff were definitely not delivering what one would expect. We went today for Sunday lunch as it is recommended, it was nice, not the best I have ever had, the potatoes were really bad, tasted frozen but the rest was lovely...funnily enough there was another guest sitting at a table next to us complaining about the very same thing. May sound petty but for £18.50 you expect better than aunt Bessie's. Other than that the menu is well priced, the starter we had was divine a bacon tarte flambé. The service was terrible we waited 35 mins just to have our order taken, but the setting and atmosphere made up fr it, it is a lovely place, just let down by the service. Fabulous. Amazing setting, service and food - perfect start to the day. I went on Sunday afternoon and it was very busy. 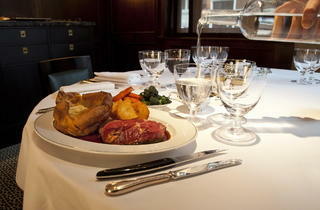 The Roast Rib of Beef and Grill Calf's liver are both very nice. I took my mum to the Delauney on Sunday for an early mothers day afternoon tea. We arrived in good time for our reservation at 3.30 pm. We were told our table wasn't yet ready which wasn't a big concern although I did notice an awful lot of people milling around in the bar. 40 minutes later we still hadn't been seated and I was starting to feel a bit embarrassed. The front of house were apologetic in a fairly vague way and didn't seem willing to provide any kind of compensation. A complementary drink would not have gone amiss! When we were finally seated the tea was very good but I feel that the experience was really let down by the long wait. 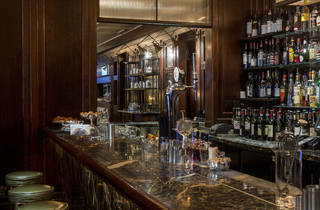 I have been to the Wolsely on a number of occasions and never had any difficulty. I think the Delauney will need to up their game a bit if they are going to compete! fantastic meal. Great service. Excellent wine list. An absolutely wonderful evening. My boyfriend and I went for a lovely romantic meal and it's the best restaurant we've been to. 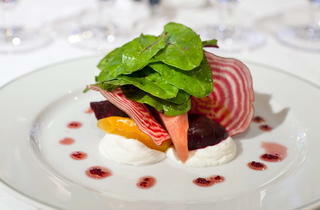 The food was cooked to perfection and the service was impeccable. We had brunch here on Sunday. We hadn't booked, but were advised that if we arrived at 11am, we could be seated at the front of the restaurant in the lounge area. 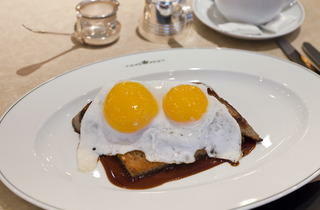 The eggs Benedict and Florentine were both delicious and the service was good. £45 for brunch for 2 isn't bad, but I imagine its better to come for dinner and sit in the main room. We had as close to a perfect meal here as I can imagine. The food was delicious, I'd particularly recommend the Choucroute but everyone was pleased with their meals, and the decor is beautiful. Best of all was the service; the gentleman who served us couldn't have been nicer. I can't wait to find an excuse to go again. Went for dinner on Saturday. Decor is superbe but found service unbearably slow and aloof. Lots of staff just appear to be running around. Food was decent but certainly nothing to write home about. Some items on the menu seem of good value but most others not as the dishes are very basic - although overall tasty, it is certainly not la grande cuisine.. choucroute, goulash, schnitzel, french fries, etc..
Really disappointing experience. We went for dinner having seen some really good reviews (including the timeout review). Did they go to the same place? The service was lack lustre to say the least. It took 20 minutes to get a glass of wine and we continually had to search for a waiter to take our order. The food was average at best and massively overpriced. My steak was overcooked and my partners 7 hour slow cooked pork was tough. When we said to the waiter that it was tough he said 'oh dear, it shouldn't be' but did nothing to sort it out. We ended up not staying for pudding. This is style with no substance! Service was excellent, attentive, knowledgeable and charming. 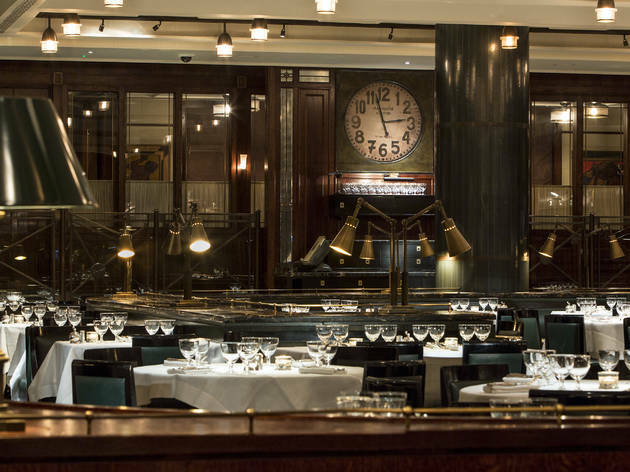 The setting whilst grand is impressive, but this didn't make up for the fact that the menu is confused, not knowing if it is breakfast, lunch or dinner and the food not as impressive as previous reviews would have you believe. We had oysters which were excellent, but our main courses left something to be desired, fish over cooked and traditional German dishes hugely overpriced for what they are. It is a great shame to say that we will not be going back, London has far better restaurants on offer. Overrated. The service was absolutely terrible, and the food both expensive and unremarkable. Six of us attended a late afternoon Saturday lunch here. I really wanted to like the Delaunay but left disappointed. The service was slow and unattentive, it took 20 mins to get the bill. There seemed to be lots of staff but they were somehow elusive. The food was mostly ok, but not excellent, and the veg accompanying my char grilled fish were too salty to eat. To top it off, found the chairs really uncomfortable. It wasn't a cheap meal, and I didn't feel that overall it was value for money. I won't rush back.